Closely examine any dead or dying hardwood tree and you are sure to find insects boring in the wood, but this does not necessarily mean insects were the cause of the tree’s distress. There are many species of insects that specialize in attacking dead, dying, or distressed hardwood trees but do not damage healthy trees. 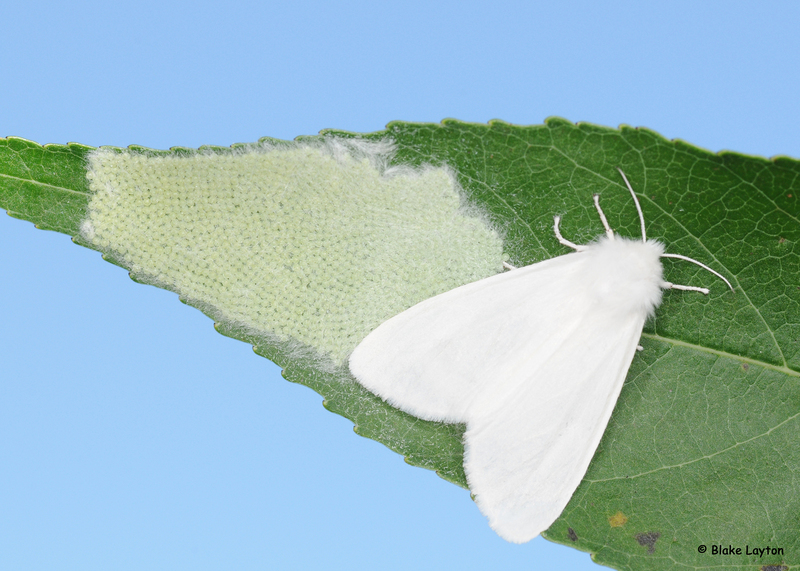 Healthy trees are either not attractive to these insects or are able to tolerate or defend themselves from attack. 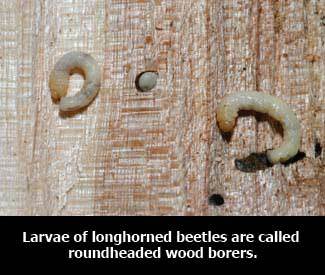 Three groups of beetles that specialize in boring in wood are: longhorned beetles (family Cerambycidae), shorthorned beetles (family Buprestidae), and bark beetles (family Curculionidae). 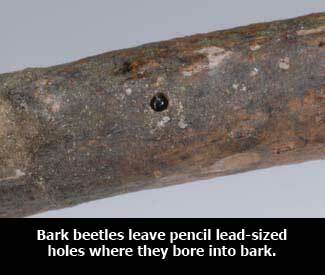 The first two groups are relatively large insects that leave pencil-sized holes or galleries, while bark beetles are much smaller, leaving holes or galleries the diameter of pencil lead or bird shot. 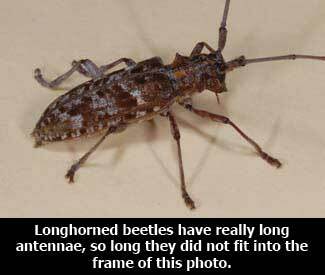 Longhorned beetles get their name from the unusually long antennae of the adults; their larvae are also referred to as “roundheaded wood borers”. 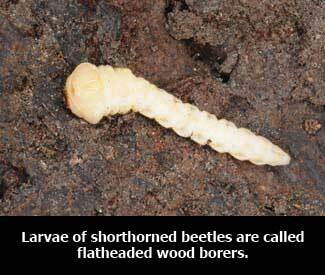 Shorthorned beetles are also known as “flatheaded wood borers” because of the characteristic flattened front segments of the larvae. Most longhorned and shorthorned beetles are secondary invaders, meaning they do not attack and kill trees healthy trees, but there are exceptions. 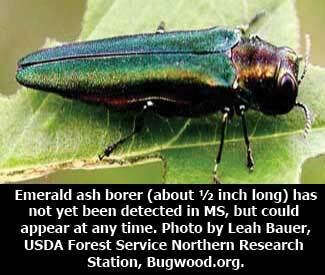 Flatheaded appletree bore is a threat to young, recently planted saplings, and emerald ash borer is a non-native shorthorned beetle that has killed huge numbers of ash trees across the northeastern US and may soon reach Mississippi. 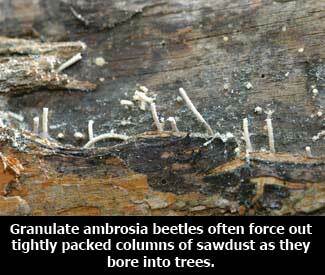 Most bark beetles also restrict attacks to dead or dying trees, but again there are exceptions. 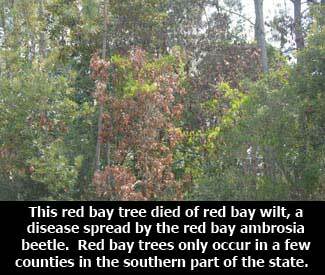 Granulate ambrosia beetle is a non-native bark beetle that can kill young saplings, especially in spring, and the red bay ambrosia beetle has destroyed large numbers of red bay trees in south Mississippi, as well as other states, and also attacks sassafras and avocado. These last two species belong to a sub-group of bark beetles known as ambrosia beetles because they inoculate host trees with fungal pathogens, and it is these fungal diseases that cause tree death. Control Wood Boring Beetles: Keeping trees healthy and vigorous through proper horticultural practices is the best defense against wood boring beetles. It is usually not practical or necessary to attempt insecticidal control of wood boring beetles in large, well-established hardwood trees. In many cases, the beetles are not the real cause of the problem, and killing the beetles will not bring the tree back to life. 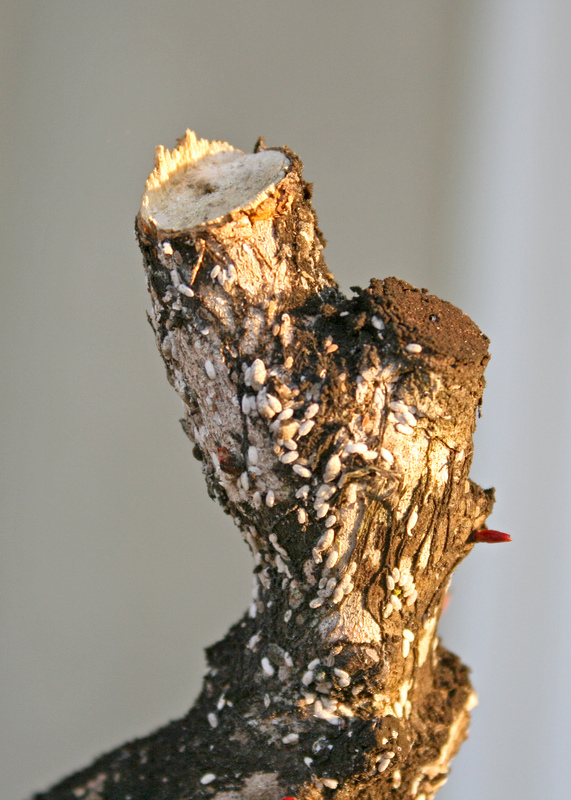 Even in cases where wood boring beetles are the primary problem, infestations are often detected too late to salvage the tree with insecticide treatments. Properly labeled insecticides containing permethrin or bifenthrin can be applied as trunk sprays for preventive protection of young, newly-established trees against pests such as granulate ambrosia beetle and flatheaded appletree borer. 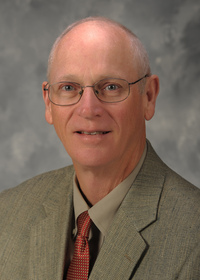 In other states, professionally-applied trunk injections of emamectin benzoate have been used to successfully protect high value ash trees from emerald ash borer. See Insect Pests of ornamental plants in the home landscape, page 26 and pages 35-36 for more information on wood boring insects of hardwood trees. See page 29 for information on granulate ambrosia beetle, and page 30 for information on flatheaded appletree borer. OCEAN SPRINGS, Miss. -- A new insect pest found in Mississippi on March 15 could take away the crape myrtle’s status as a beautiful and low-maintenance landscape tree. Crape myrtle bark scale, or CMBS, is an invasive insect that came to the United States from China. It was first found in Texas in 2004 and has since spread east to Shreveport and Houma, Louisiana; Little Rock, Arkansas; and Germantown, Tennessee. Ocean Springs joined this list when the insect was found on the coast in Jackson County.